Why do I think it’s so important to approach the Enneagram with our faith in Jesus front and center? I’m glad you asked! To be honest, without grace, the Enneagram could be downright depressing for every Type. It’s because this tool illuminates our hearts’ intent. While it reveals each of our strengths, motivations and heart longings, it also reveals our core fears, weaknesses, insecurities and sin tendencies. Those parts are not so flattering, acting as our Achilles’ heels and causing pain and frustration in our hearts and relationships. As an Enneagram Coach, I could guide you in how to discover your Type, accelerate your growth and move forward with integrity and knowledge until we’re both blue in the face, but the only reason any of my tools and truths work is because of Jesus and what he did for us. It’s not enough to know our personalities and why we do the things we do without heart transformation, and that only comes through the perfect, completed work of Christ. In short, we have to know not only who we are, but also whose we are in order to experience true growth and freedom. Matthew 15:18 says, “but what comes out of the mouth proceeds from the heart, and this defiles a person.” We must realize that the heart of our problem is the problem of our heart! The role of the Holy Spirit is to reveal truth, both the wisdom of God’s Word and our need for Jesus Christ. As we “walk in the Spirit,” we participate in transformation. We can fall into the same error as the Pharisees if we only focus on obeying externally without understanding our hearts. Once we have received Jesus as our Lord and Savior, we are in Christ, making us his Beloved sons and daughters and heirs to His throne. When we know that we’re all made in His image, we can explore the amazing variety of personality types he gave us with grace and forgiveness instead of shame and condemnation. The Enneagram is a powerful tool we can use to better understand ourselves and others, and view life in a more meaningful way. But it’s only through finding our identity in Christ that we’ll experience true freedom in everyday life and relationships. I believe that once we know ourselves more intimately, we will be able to understand the Gospel in deeper and richer ways. 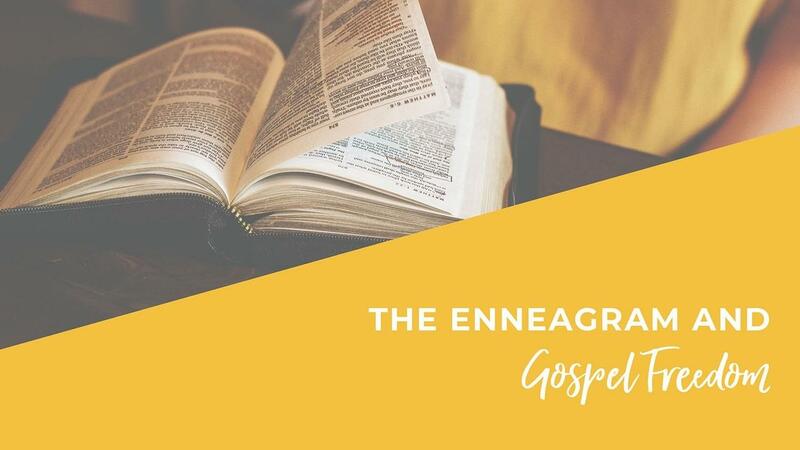 The Enneagram can help us hear the Gospel and its truths in our “mother tongue,” or our personality Type’s language, helping our heart to better receive it. This brings tremendous power to our walk with God! I have been on this Enneagram journey for nearly 18 years now, and I continue to find beauty and experience transformation as I look at myself and others through a Gospel lens. My prayer for you is that you will first know, believe, and trust in your identity in Christ. In Him, you are completely forgiven and set free. When God looks at you now, he is satisfied by Christ’s finished work and he sees his most cherished child. This knowledge will radically change you and spill over into all your relationships. I also pray that as you explore the Enneagram, you’ll see yourself with astonishing clarity and break free from self-condemnation, fear and shame because of the unconditional love, forgiveness and freedom you have in Christ. I hope you will see how apart from Christ, each personality Type is running away from its Core Fear, running towards its Core Desire, stumbling over its Core Weakness, and thirsty to hear its Core Longing. When we’re not resting in the Gospel, we think, feel, and behave in particular ways that harm ourselves and others. But by the grace of God, we can ask the Holy Spirit to help us navigate our internal worlds and bring our personality Types back to their healthiest paths. God reveals to us, both in knowledge and experience, the transformative work of the Holy Spirit in our lives. As the Gospel penetrates our hearts, we can find soul refreshment despite any of life’s burdens or trials. Ready to dive in? 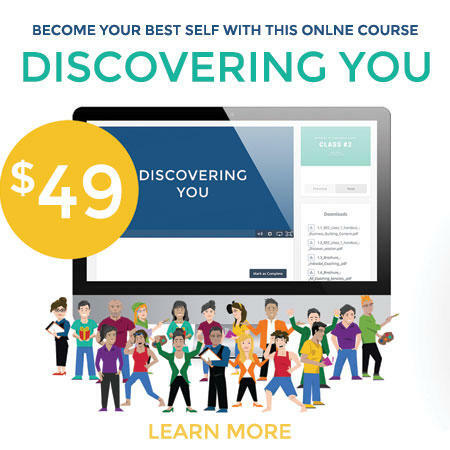 I’d love to guide you on your Enneagram journey! 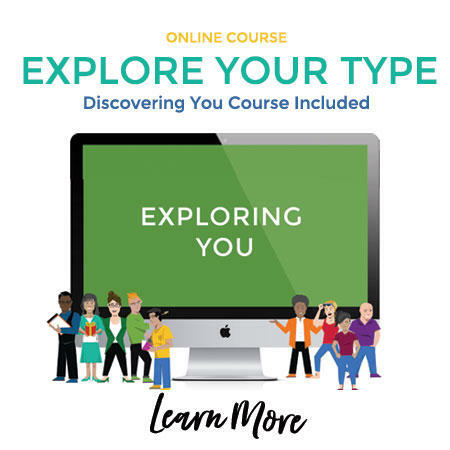 I offer multiple online courses, events and private coaching to help you explore the depths of your Type and become the best version of yourself.